Stephanie Kinser is a program associate for Climate and Clean Energy at the Heising-Simons Foundation. 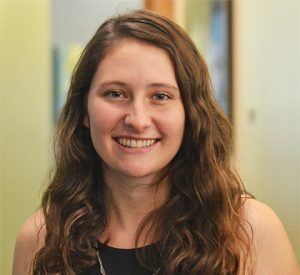 Prior to joining the Foundation in 2016, Stephanie was an intern at the California Governor’s Office of Planning and Research, working on drought policy. She also served as a committee member on The Green Initiative Fund, which supports sustainability projects on UC Berkeley’s campus. Stephanie received her bachelor’s degree in environmental policy and in geography from UC Berkeley.